"Televisor" redirects here. It is not to be confused with a television set, called a "televisor" in several languages. Watching a homemade mechanical-scan television receiver in 1928. The "televisor" (right) which produces the picture uses a spinning metal disk with a series of holes in it, called a Nipkow disk, in front of a neon lamp. Each hole in the disk passing in front of the lamp produces a scan line which makes up the image. The video signal from the television receiver unit (left) is applied to the neon lamp, causing its brightness to vary with the brightness of the image at each point. This system produced a dim orange image 1.5 inches square, with 48 scan lines, at a frame rate of 7.5 frames per second. Mechanical television or mechanical scan television is a television system that relies on a mechanical scanning device, such as a rotating disk with holes in it or a rotating mirror, to scan the scene and generate the video signal, and a similar mechanical device at the receiver to display the picture. This contrasts with modern television technology, which uses electronic scanning methods, for example electron beams in cathode ray tube (CRT) televisions, and liquid-crystal displays (LCD), to create and display the picture. Television (TV), sometimes shortened to tele or telly, is a telecommunication medium used for transmitting moving images in monochrome, or in color, and in two or three dimensions and sound. The term can refer to a television set, a television program, or the medium of television transmission. Television is a mass medium for advertising, entertainment and news. Mechanics is that area of science concerned with the behaviour of physical bodies when subjected to forces or displacements, and the subsequent effects of the bodies on their environment. The scientific discipline has its origins in Ancient Greece with the writings of Aristotle and Archimedes. During the early modern period, scientists such as Galileo, Kepler, and Newton laid the foundation for what is now known as classical mechanics. It is a branch of classical physics that deals with particles that are either at rest or are moving with velocities significantly less than the speed of light. It can also be defined as a branch of science which deals with the motion of and forces on objects. The field is yet less widely understood in terms of quantum theory. Mechanical-scanning methods were used in the earliest experimental television systems in the 1920s and 1930s. 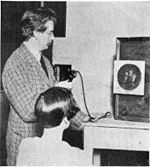 One of the first experimental wireless television transmissions was by John Logie Baird on November 25, 1925, in London. By 1928 many radio stations were broadcasting experimental television programs using mechanical systems. However the technology never produced images of sufficient quality to become popular with the public. Mechanical-scan systems were largely superseded by electronic-scan technology in the mid-1930s, which was used in the first commercially successful television broadcasts which began in the late 1930s in Great Britain. John Logie BairdFRSE was a Scottish engineer, innovator, one of the inventors of the mechanical television, demonstrating the first working television system on 26 January 1926, and inventor of both the first publicly demonstrated colour television system, and the first purely electronic colour television picture tube. A mechanical television receiver is also called a televisor in some countries. A facsimile is a copy or reproduction of an old book, manuscript, map, art print, or other item of historical value that is as true to the original source as possible. It differs from other forms of reproduction by attempting to replicate the source as accurately as possible in scale, color, condition, and other material qualities. For books and manuscripts, this also entails a complete copy of all pages; hence, an incomplete copy is a "partial facsimile". Facsimiles are sometimes used by scholars to research a source that they do not have access to otherwise, and by museums and archives for media preservation and conservation. Many are sold commercially, often accompanied by a volume of commentary. They may be produced in limited editions, typically of 500–2,000 copies, and cost the equivalent of a few thousand United States dollars. The term "fax" is a shortened form of "facsimile" though most faxes are not reproductions of the quality expected in a true facsimile. Alexander Bain was a Scottish inventor and engineer who was first to invent and patent the electric clock. He installed the railway telegraph lines between Edinburgh and Glasgow. Frederick Collier Bakewell was an English physicist who improved on the concept of the facsimile machine introduced by Alexander Bain in 1842 and demonstrated a working laboratory version at the 1851 World's Fair in London. Willoughby Smith discovered the photoconductivity of the element selenium in 1873, laying the groundwork for the selenium cell phototube which was used as a pickup in most mechanical scan systems. 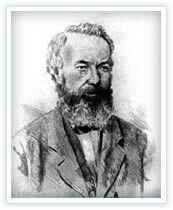 Willoughby Smith was an English electrical engineer who discovered the photoconductivity of the element selenium. This discovery led to the invention of photoelectric cells, including those used in the earliest television systems. Photoconductivity is an optical and electrical phenomenon in which a material becomes more electrically conductive due to the absorption of electromagnetic radiation such as visible light, ultraviolet light, infrared light, or gamma radiation. Selenium is a chemical element with symbol Se and atomic number 34. 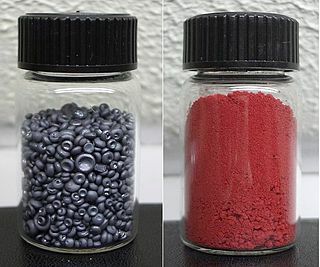 It is a nonmetal with properties that are intermediate between the elements above and below in the periodic table, sulfur and tellurium, and also has similarities to arsenic. It rarely occurs in its elemental state or as pure ore compounds in the Earth's crust. Selenium was discovered in 1817 by Jöns Jacob Berzelius, who noted the similarity of the new element to the previously discovered tellurium. Ernst Walter Ruhmer was a German physicist. He was best known for investigating practical applications making use of the light-sensitivity properties of selenium, which he employed in developing wireless telephony using line-of-sight optical transmissions, sound-on-film audio recording, and television transmissions over wires. The Palace of Justice or Law Courts of Brussels is the most important court building in Belgium. Exposition Universelle et Internationale was a world's fair held in Brussels in 1910 from 23 April to 1 November. This was just thirteen years after the previous Brussels world's fair. A commutator is a rotary electrical switch in certain types of electric motors and electrical generators that periodically reverses the current direction between the rotor and the external circuit. It consists of a cylinder composed of multiple metal contact segments on the rotating armature of the machine. Two or more electrical contacts called "brushes" made of a soft conductive material like carbon press against the commutator, making sliding contact with successive segments of the commutator as it rotates. 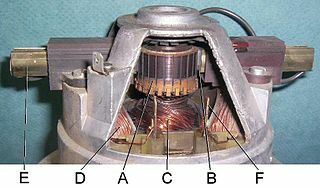 The windings on the armature are connected to the commutator segments. The retina is the innermost, light-sensitive layer of tissue of the eye of most vertebrates and some molluscs. The optics of the eye create a focused two-dimensional image of the visual world on the retina, which translates that image into electrical neural impulses to the brain to create visual perception, the retina serving a function analogous to that of the film or image sensor in a camera. The Kerr effect, also called the quadratic electro-optic (QEO) effect, is a change in the refractive index of a material in response to an applied electric field. The Kerr effect is distinct from the Pockels effect in that the induced index change is directly proportional to the square of the electric field instead of varying linearly with it. All materials show a Kerr effect, but certain liquids display it more strongly than others. The Kerr effect was discovered in 1875 by John Kerr, a Scottish physicist. The Nipkow disk. 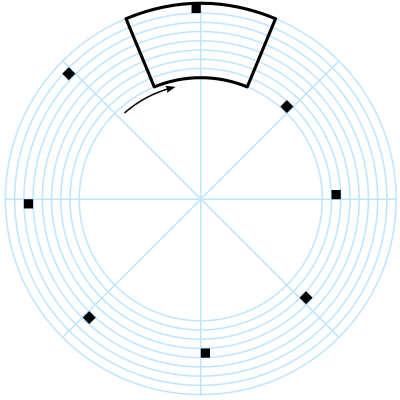 This schematic shows the circular paths traced by the holes, that may also be square for greater precision. The area of the disk outlined in black shows the region scanned. Baird in 1925 with his transmitter equipment and dummies "James" and "Stooky Bill" (right). 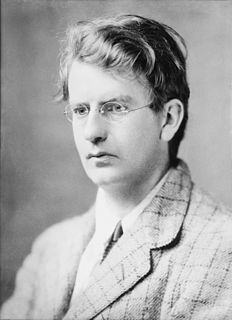 Scottish inventor John Logie Baird in 1925 built some of the first prototype video systems, which employed the Nipkow disk. On March 25, 1925, Baird gave the first public demonstration of televised silhouette images in motion, at Selfridge's Department Store in London. Since human faces had inadequate contrast to show up on his primitive system, he televised a ventriloquist's dummy named "Stooky Bill" talking and moving, whose painted face had higher contrast. By January 26, 1926, he demonstrated the transmission of image of a face in motion by radio. This is widely regarded as first television demonstration. Baird's system used the Nipkow disk for both scanning the image and displaying it. A bright light shining through a spinning Nipkow disk set with lenses projected a bright spot of light which swept across the subject. A selenium photoelectric tube detected the light reflected from the subject and converted it into a proportional electrical signal. This was transmitted by AM radio waves to a receiver unit, where the video signal was applied to a neon light behind a second Nipkow disk rotating synchronized with the first. The brightness of the neon lamp was varied in proportion to the brightness of each spot on the image. As each hole in the disk passed by, one scan line of the image was reproduced. Baird's disk had 30 holes, producing an image with only 30 scan lines, just enough to recognize a human face. In 1927, Baird transmitted a signal over 438 miles (705 km) of telephone line between London and Glasgow. In 1928, Baird's company (Baird Television Development Company/Cinema Television) broadcast the first transatlantic television signal, between London and New York, and the first shore-to-ship transmission. In 1929, he became involved in the first experimental mechanical television service in Germany. In November of the same year, Baird and Bernard Natan of Pathé established France's first television company, Télévision-Baird-Natan. In 1931, he made the first outdoor remote broadcast, of The Derby. In 1932, he demonstrated ultra-short wave television. Baird's mechanical system reached a peak of 240-lines of resolution on BBC television broadcasts in 1936 though the mechanical system did not scan the televised scene directly. Instead a 17.5mm film was shot, rapidly developed and then scanned while the film was still wet. An American inventor, Charles Francis Jenkins also pioneered the television. He published an article on "Motion Pictures by Wireless" in 1913, but it was not until December 1923 that he transmitted moving silhouette images for witnesses, and it was on June 13, 1925, that he publicly demonstrated synchronized transmission of silhouette pictures. In 1925 Jenkins used Nipkow disk and transmitted the silhouette image of a toy windmill in motion, over a distance of five miles from a naval radio station in Maryland to his laboratory in Washington, D.C., using a lensed disk scanner with a 48-line resolution. He was granted the U.S. patent No. 1,544,156 (Transmitting Pictures over Wireless) on June 30, 1925 (filed March 13, 1922). In 1928, General Electric launched their own experimental television station W2XB, broadcasting from the GE plant in Schenectady, New York. The station was popularly known as "WGY Television", named after the GE owned radio station WGY. The station eventually converted to an all-electronic system in the 1930s and in 1942, received a commercial license as WRGB. The station is still operating today. A color televisor. A test card (the famous test card F) can just be seen through the lens on the right. John Baird's 1928 color television experiments had inspired Goldmark's more advanced field-sequential color system. The CBS color television system of Peter Goldmark used such technology in 1940. In Goldmark's system, stations transmit color saturation values electronically. Yet mechanical methods also come into play. At the transmitting camera, a mechanical disc filters hues (colors) from reflected studio lighting. At the receiver, a synchronized disc paints the same hues over the CRT. As the viewer watches pictures through the color disc, the pictures appear in full color. Of course, simultaneous color systems superseded the CBS-Goldmark system. Yet mechanical color methods continued to find uses. Early color sets were very expensive, over $1,000 in the money of the time. Inexpensive adapters allowed owners of black-and-white, NTSC television sets to receive color telecasts. The most prominent of these adapters is Col-R-Tel, a 1955 NTSC to field-sequential converter. This system operates at NTSC scanning rates, but uses a disc like the obsolete CBS system had. The disc converts the black-and-white set to a field-sequential set. Meanwhile, Col-R-Tel electronics recover NTSC color signals and sequence them for disc reproduction. The electronics also synchronize the disc to the NTSC system. In Col-R-Tel, the electronics provide the saturation values (chroma). These electronics cause chroma values to superimpose over brightness (luminance) changes of the picture. The disc paints the hues (color) over the picture. A few years after Col-R-Tel, Apollo moon missions also adopted field-sequential techniques. The lunar color cameras all had color wheels. These Westinghouse and later RCA cameras sent field-sequential color television pictures to earth. The earth receiving stations included mechanical equipment that converted these pictures to standard television formats. The advancement of all-electronic television (including image dissectors and other camera tubes and cathode ray tubes for the reproducer) marked the beginning of the end for mechanical systems as the dominant form of television. 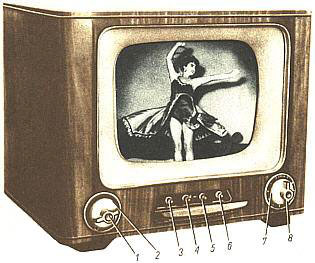 Mechanical TV usually only produced small images. It was the main type of TV until the 1930s. All-electronic television, first demonstrated in September 1927 in San Francisco by Philo Farnsworth, and then publicly by Farnsworth at the Franklin Institute in Philadelphia in 1934, was rapidly overtaking mechanical television. Farnsworth's system was first used for broadcasting in 1936, reaching 400 to more than 600 lines with fast field scan rates, along with competing systems by Philco and DuMont Laboratories. In 1939, RCA paid Farnsworth $1 million for his patents after ten years of litigation, and RCA began demonstrating all-electronic television at the 1939 World's Fair in New York City. The last mechanical television broadcasts ended in 1939 at stations run by a handful of public universities in the United States. Since the 1970s, some amateur radio enthusiasts have experimented with mechanical systems. The early light source of a neon lamp has now been replaced with super-bright LEDs. There is some interest in creating these systems for narrow-bandwidth television, which would allow a small or large moving image to fit into a channel less than 40 kHz wide (modern TV systems usually have a channel about 6 MHz wide, 150 times larger). Also associated with this is slow-scan TV – although that typically used electronic systems utilising the P7 CRT until the 1980s and PCs thereafter. There are three known mechanical monitor forms. [ citation needed ] Two fax printer like monitors made in the 1970s and in 2013 a small drum monitor with a coating of glow paint where the image is painted on the rotating drum with a UV laser. Digital Light Processing (DLP) projectors use an array of tiny (16 μm²) electrostatically-actuated mirrors selectively reflecting a light source to create an image. Many low-end DLP systems also use a color wheel to provide a sequential color image, a feature that was common on many early color television systems before the shadow mask CRT provided a practical method for producing a simultaneous color image. Another place where high-quality imagery is produced by opto-mechanics is the laser printer, where a small rotating mirror is used to deflect a modulated laser beam in one axis while the motion of the photoconductor provides the motion in the other axis. A modification of such a system using high power lasers is used in laser video projectors, with resolutions as high as 1024 lines and each line containing >1500 points. Such systems produce, arguably, the best quality video images. They are used, for instance, in planetariums. The long wave infrared cameras used in military applications such as giving fighter pilots night vision. These cameras use a high sensitivity infrared photo receptor (usually cooled to increase sensitivity), but instead of disks of lenses, these systems use rotating prisms to provide a 525 or 625 line standard video output. The optical parts are made from germanium, because glass is opaque at the wavelengths involved. These cameras have found a new role in sporting events where they are able to show (for example) where a ball has struck a bat. Laser lighting display techniques are combined with computer emulation in the LaserMAME project. It is a vector-based system, unlike the raster displays thus-far described. Laser light reflected from computer-controlled mirrors traces out images generated by classic arcade software which is executed by a specially modified version of the MAME emulation software. Flying spot scanner in a television studio in 1931. This type was used for "head shots" of performers speaking, singing or playing instruments. A bright spot of light projected from the lens at center scanned the subject's face, and the light reflected at each point was picked up by the 8 phototubes in the dish-shaped mirrors. The most common method for creating the video signal was the "flying spot scanner", developed as a remedy for the low sensitivity that photoelectric cells had at the time. Instead of a television camera that took pictures, a flying spot scanner projected a bright spot of light that scanned rapidly across the subject scene in a raster pattern, in a darkened studio. The light reflected from the subject was picked up by banks of photoelectric cells and amplified to become the video signal. In the scanner the narrow light beam was produced by an arc lamp shining through the holes in a spinning Nipkow disk. Each sweep of the spot across the scene produced a "scan line" of the picture. A single "frame" of the picture was typically made up of 24, 48, or 60 scan lines. The scene was typically scanned 15 or 20 times per second, producing 15 or 20 video frames per second. The varying brightness of the point where the spot fell reflected varying amounts of light, which was converted to a proportionally varying electronic signal by the photoelectric cells. To achieve adequate sensitivity, instead of a single cell, a number of photoelectric cells were used. 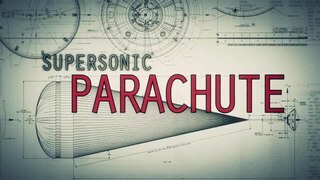 Like mechanical television itself, flying spot technology grew out of phototelegraphy (facsimile). This scanning method began in the 19th century. Flying spot cameras tend to work unreliably outdoors in daylight. In 1928, Ray Kell from the United States' General Electric proved that flying spot scanners could work outdoors. The scanning light source must be brighter than other incident illumination. Kell was the engineer who ran a 24-line camera that telecast pictures of New York governor Al Smith. Smith was accepting the Democratic nomination for presidency. As Smith stood outside the capital in Albany, Kell managed to send usable pictures to his associate Bedford at station WGY, which was broadcasting Smith's speech. The rehearsal went well, but then the real event began. The newsreel cameramen switched on their floodlights. Unfortunately for Kell, his scanner only had a 1 kW lamp inside it. The floodlights threw much more light on Governor Smith. These floods simply overwhelmed Kell's imaging photocells. In fact, the floods made the unscanned part of the image as bright as the scanned part. Kell's photocells couldn't discriminate reflections off Smith (from the AC scanning beam) from the flat, DC light from the floodlamps. The effect is very similar to extreme overexposure in a still camera: The scene disappears, and the camera records a flat, bright light. Use the camera in favorable conditions, though, and the picture comes out fine. Similarly, Kell proved that outdoors in favorable conditions, his scanner worked fine. A scene being televised by flying spot scanner in a television studio in 1931. The Nipkow disk in the flying spot scanner (bottom) projects a spot of light that scans the subject in a raster pattern in the darkened studio. Nearby photocell pickup units convert the reflected light to a signal proportional to the brightness of the reflected area, which goes through the control board to the transmitter. Perhaps the best mechanical televisions of the 1930s used the Scophony system, which could produce images of more than 400 lines and display them on screens at least 9×12 feet (2.8×3.7 m) in size (at least a few models of this type were actually produced). The Scophony system used multiple drums rotating at fairly high speed to create the images. One using a 441-line American standard of the day had a small drum rotating at 39,690 rpm (a second slower drum moved at just a few hundred rpm). Some mechanical equipment scanned lines vertically rather than horizontally, as in modern TVs. An example of this method is the Baird 30-line system. Baird's British system created a picture in the shape of a very narrow, vertical rectangle. This shape created a portrait image, instead of the landscape orientation that is common today. The position of a framing mask before the Nipkow disk determines the scan line orientation. Placement of the framing mask at the left or right side of the disk gives vertical scan lines. Placement at the top or bottom of the disk gives horizontal scan lines. Baird's earliest television images had very low definition. These images could only show one person clearly. For this reason, a vertical, portrait image made more sense to Baird than a horizontal, landscape image. Baird chose a shape three units wide by seven high. Actually this shape is only about half as wide as a traditional portrait and close in proportion to a typical doorway. Instead of entertainment television, Baird might have had point-to-point communication in mind. Another television system followed that reasoning. The 1927 system developed by Herbert E. Ives at AT&T's Bell Laboratories was a large-screen television system and the most advanced television of its day. The Ives 50-line system also produced a vertical "portrait" picture. Since AT&T intended to use television for telephony, the vertical shape was logical: phone calls are usually conversations between just two people. A picturephone system would depict one person on each side of the line. Meanwhile, in the US, Germany and elsewhere, other inventors planned to use television for entertainment purposes. These inventors began with square or landscape pictures. (For example, consider the television systems of these men: Ernst Alexanderson, Frank Conrad, Charles Francis Jenkins, William Peck  and Ulises Armand Sanabria.  ) These inventors realized that television is about relationships between people. From the very beginning, these inventors allowed picture space for two-shots. Soon, images increased to 60 lines or more. The camera could easily photograph several people at once. Then even Baird switched his picture mask to a horizontal image. Baird's "zone television" is an early example of rethinking his extremely narrow screen format. For entertainment and most other purposes, even today, landscape remains the more practical shape. Analog television or analogue television is the original television technology that uses analog signals to transmit video and audio. In an analog television broadcast, the brightness, colors and sound are represented by rapid variations of either the amplitude, frequency or phase of the signal. Color television is a television transmission technology that includes information on the color of the picture, so the video image can be displayed in color on the television set. It is an improvement on the earliest television technology, monochrome or black and white television, in which the image is displayed in shades of gray (grayscale). Television broadcasting stations and networks in most parts of the world upgraded from black and white to color transmission in the 1970s and 1980s. The invention of color television standards is an important part of the history of television, and it is described in the technology of television article. Telecine is the process of transferring motion picture film into video and is performed in a color suite. The term is also used to refer to the equipment used in the post-production process. Telecine enables a motion picture, captured originally on film stock, to be viewed with standard video equipment, such as television sets, video cassette recorders (VCR), DVD, Blu-ray Disc or computers. Initially, this allowed television broadcasters to produce programmes using film, usually 16mm stock, but transmit them in the same format, and quality, as other forms of television production. Furthermore, telecine allows film producers, television producers and film distributors working in the film industry to release their products on video and allows producers to use video production equipment to complete their filmmaking projects. Within the film industry, it is also referred to as a TK, because TC is already used to designate timecode. A Nipkow disk, also known as scanning disk, is a mechanical, rotating, geometrically operating image scanning device, patented in 1885 by Paul Gottlieb Nipkow. This scanning disk was a fundamental component in mechanical television through the 1920s and 1930s. Paul Julius Gottlieb Nipkow was a German technician and inventor. He invented the Nipkow disk, one of the first successful technologies for television transmission. Hundreds of stations experimented with television broadcasting using the Nipkow system in the 1920s and 1930s, until it was superseded by all-electronic systems in the 1940s. The intermediate film system was a television process in which motion picture film was processed almost immediately after it was exposed in a camera, then scanned by a television scanner, and transmitted over the air. This system was used principally in Britain and Germany where television cameras were not sensitive enough to use reflected light, but could transmit a suitable image when a bright light was shown through motion picture film directly into the camera lens. John Logie Baird began developing the process in 1932, borrowing the idea of Georg Oskar Schubert from his licensees in Germany, where it was demonstrated by Fernseh AG in 1932 and used for broadcasting in 1934. The BBC used Baird's version of the process during the first three months of its then-"high-definition" television service from November 1936 through January 1937, and German television used it during broadcasts of the 1936 Summer Olympics. In both cases, intermediate film cameras alternated with newly introduced direct television cameras. A motion picture film scanner is a device used in digital filmmaking to scan original film for storage as high-resolution digital intermediate files. A flying-spot scanner (FSS) uses a scanning source of a spot of light, such as a high-resolution, high-light-output, low-persistence cathode ray tube (CRT), to scan an image. Usually the image to be scanned is on photographic film, such as motion picture film, or a slide or photographic plate. The output of the scanner is usually a television signal. 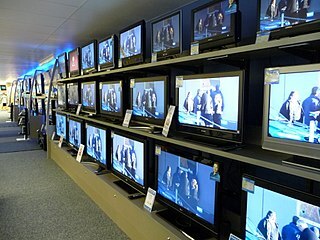 The invention of the television was the work of many individuals in the late 19th century and early 20th century. Individuals and corporations competed in various parts of the world to deliver a device that superseded previous technology. Many were compelled to capitalize on the invention and make profit, while some wanted to change the world through visual and audio communication technology. Phonovision is a proof of concept format and experiment for recording a mechanical television signal on gramophone records. The format was developed in the late 1920s in London by Scottish television pioneer John Logie Baird. The objective was not simply to record video, but to record it synchronously, as Baird intended playback from an inexpensive playback device, which he called a "Phonovisor". Kenjiro Takayanagi was a Japanese engineer and a pioneer in the development of television. Although he failed to gain much recognition in the West, he built the world's first all-electronic television receiver, and is referred to as "the father of Japanese television". Stooky Bill was the name given to the head of a ventriloquist dummy that Scottish television pioneer John Logie Baird used in his 1924 experiments to transmit a televised image between rooms in his laboratory at 22 Frith Street, London. A field-sequential color system (FSC) is a color television system in which the primary color information is transmitted in successive images and which relies on the human vision system to fuse the successive images into a color picture. One field-sequential system was developed by Dr. Peter Goldmark for CBS, which was its sole user in commercial broadcasting. It was first demonstrated to the press on September 4, 1940, and first shown to the general public on January 12, 1950. The Federal Communications Commission adopted it on October 11, 1950 as the standard for color television in the United States, but it was later withdrawn. The technology of television has evolved since its early days using a mechanical system invented by Paul Gottlieb Nipkow in 1884. Every television system works on the scanning principle first implemented in the rotating disk scanner of Nipkow. This turns a two-dimensional image into a time series of signals that represent the brightness and color of each resolvable element of the picture. By repeating a two-dimensional image quickly enough, the impression of motion can be transmitted as well. For the receiving apparatus to reconstruct the image, synchronization information is included in the signal to allow proper placement of each line within the image and to identify when a complete image has been transmitted and a new image is to follow. The following timeline tables list the discoveries and inventions in the history of electrical and electronic engineering. Telechrome was the first all-electronic single-tube color television system. It was invented by well-known Scottish television engineer, John Logie Baird, who had previously made the first public television broadcast, as well as the first color broadcast using a pre-Telechrome system. ↑ Huurdeman, p. 149 The first telefax machine to be used in practical operation was invented by an Italian priest and professor of physics, Giovanni Caselli (1815–1891). ↑ Beyer, p. 100 The telegraph was the hot new technology of the moment, and Caselli wondered if it was possible to send pictures over telegraph wires. He went to work in 1855, and over the course of six years perfected what he called the "pantelegraph." It was the world's first practical fax machine. ↑ "Giovanni Caselli and the Pantelegraph". Archived from the original on 2016-01-15. ↑ "Another Electric Distance-Seer", Literary Digest, September 11, 1909, page 384. ↑ "Seeing by Wire", Industrial World, January 31, 1910, pp. viii-x (reprinted from the London Mail). ↑ "Television 'In Sight'", The Literary Digest, January 2, 1910, pp. 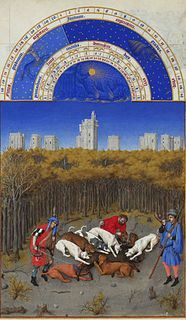 138-139. ↑ Henry de Varigny, "La vision à distance", L'Illustration, Paris, December 11, 1909, p. 451. ↑ R. W. Burns, Television: An International History of the Formative Years, IET, 1998, p. 119. ISBN 0-85296-914-7. ↑ Shiers, George and May (1997), Early Television: A Bibliographic Guide to 1940. Taylor & Francis, pp. 13, 22. ISBN 978-0-8240-7782-2. ↑ Shiers & Shiers, p. 13, 22. ↑ "Télévision au moyen de l'électricité", Congrès Inographs by Telegraph", The New York Times, Sunday Magazine, September 20, 1907, p. 7. ↑ "Sending Photographs by Telegraph", The New York Times, Sunday Magazine, September 20, 1907, p. 7. ↑ "Current Topics and Events", Nature , vol. 115, April 4, 1925, p. 505–506, doi : 10.1038/115504a0. ↑ J. L. Baird, "Television in 1932", BBC Annual Report, 1933. ↑ "Radio Shows Far Away Objects in Motion", The New York Times, June 14, 1925, p. 1. 1 2 Glinsky, Albert (2000). Theremin: Ether Music and Espionage. Urbana, Illinois: University of Illinois Press. pp. 41–45. ISBN 0-252-02582-2. 1 2 Kenjiro Takayanagi: The Father of Japanese Television, NHK (Japan Broadcasting Corporation), 2002, retrieved 2009-05-23. ↑ Abramson, Albert, The History of Television, 1880 to 1941, McFarland & Co., Inc., 1987, p. 101. ISBN 978-0-89950-284-7. ↑ Donald F. McLean, Restoring Baird's Image (London: IEEE, 2000), p. 184. ↑ "VE9AK entry at". Earlytelevision.org. Retrieved 2010-03-02. ↑ "Peck Television Corporation Console Receiver and Camera". Early Television Museum. Retrieved 18 February 2012. ↑ The Smith, Kline & French Medical Color TV Unit. ↑ CBS Field Sequential Color System Archived 2010-01-05 at the Wayback Machine . ↑ Hawes Mechanical Television Archive, How Col-R-Tel Works. ↑ "Ulises Armand Sanabria at Early Television website". Earlytelevision.org. Retrieved 2010-03-02. ↑ The World's Earliest Television Recordings. ↑ Phonovision: The Recovered Images. Wikimedia Commons has media related to Mechanical-scan television systems . The World's Earliest Television Recordings – Restored!